Since Amit and I are very fond of non-vegetarian food, it is difficult for us to imagine our salads without chicken (chicken is usually the only incentive for eating salad). However, both us would make an exception to compulsive chicken-in-the-salad for this particular recipe. 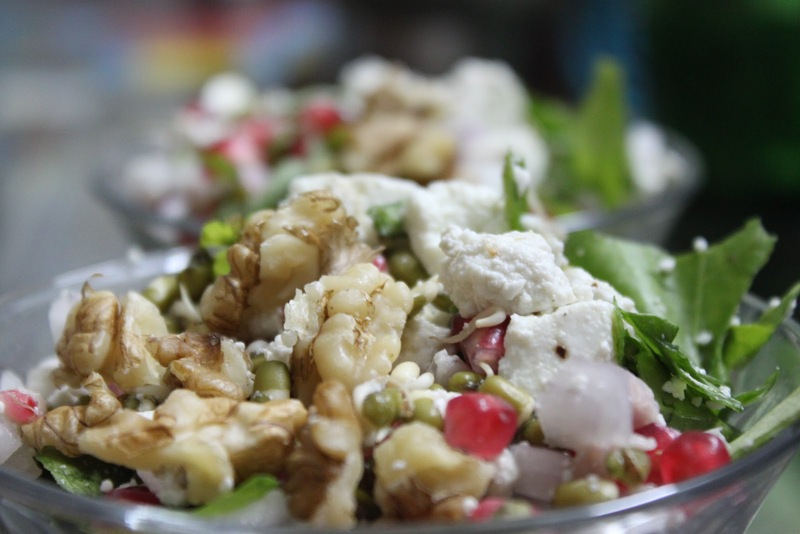 I especially love the unusual combination of ingredients in this salad (think of Spinach, pomegranate and cottage cheese together – tastes way better than you think!). Enjoy this super quick recipe! !